Rates and quality of material is different thing. We are not making it part of our conversation. We here are going to discuss about inventory management. Inventory in term of quantity, numbers and stock etc. Inventory cost doesn’t directly affect manufacturing or purchase cost but it can create huge difference in Company overall profit and loss. Inventory takes a larger portion of investment. Inventory management is most important aspect of any type of industry. In pharmaceutical sector, it becomes necessity to check inventory due to its large product range. A small pharma company may have more than 100 molecules or combinations in its product profile. If a single molecule consume 1 lakh extra investment, total inventory cost may increase to one crore rupees. At every step you need to check for inventory and investment. Your investment management can reduce your start-up or running cost of any pharma company to larger extent. In today’s article, we will try to discuss maximum aspects about inventory management. Inventory management is required at every aspect and types. From manufacturers to retailer everyone needs inventory management. We also have to caution regarding inventory check, if not done properly it may cause reverse affect at production, growth and sale. Don’t take inventory management as cost cutting. These both terms are different. Manufacturing process is one of the complicated process. Raw material and packaging material acquire majority of share of total inventory cost. Raw material and excipients are primary requirement for manufacturing process. Big Companies has a separate purchasing department but small companies can’t bear expenses of separate Purchase Department. A single department work in Sales and Purchase Both. They have to concentrate at sale boosting along with inventory management. Raw material, excipients and packaging material is purchased in a particular quantity. For example we are going to manufacture Cefixime Tablet. We have order of thirty thousand tablets. Suppose raw material is packed in 5 kg, 10 kg and 20 kg packing. Loose we can’t purchase. If we need 6 kg of raw material, we have to purchase either 5 kg or 10 kg. Both will not fulfill our requirement. 5 kg will cause less supply than demand, hence sale loss where as 10 kg will cause more inventory at stock that could be invested in other products. Big pharma companies have detailed report at daily, weekly, monthly, quarterly and annual consumption report where as small companies always remains in uncertainty of market conditions. Third party manufacturers and own marketed small pharmaceutical manufacturers have to depend at their customer’s order or demand for a particular product. Over stocking or minor stocking may lead to major loss for them.. There will always be uncertainty in demand so there will always be uncertainty in inventory management. Your data and facts should be accurate otherwise it can produce more damage than profit. Follow same procedure as we will discuss in marketing company if manufacturer do direct marketing. Read below in marketing company portion about it. Track Third Party ordered molecules and combinations & Repetition frequency. Prepare Raw material and Excipients consumption at daily, weekly, monthly and yearly basis. 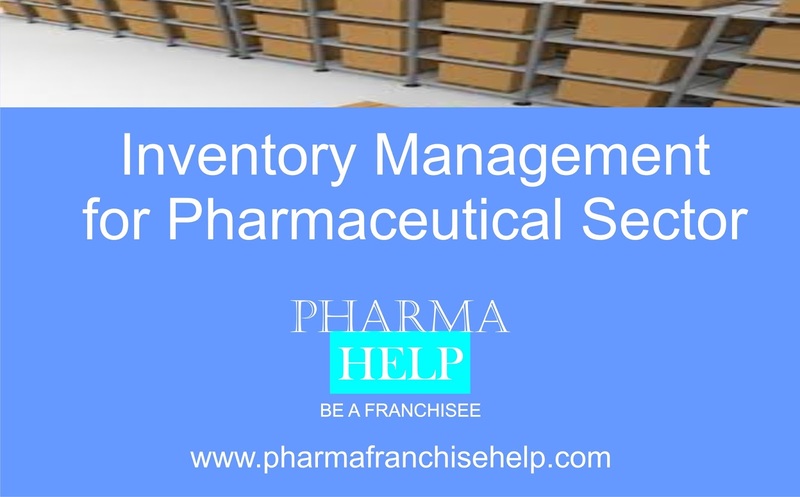 In Pharmaceutical marketing company stock management and inventory management are synonyms. There is no raw material purchasing, no packaging material involvement, lesser expenses but they have to suffer excessive stock handling problem. Third Party manufacturers or contract manufacturers manufacture a particular quantity of any molecule or combination irrespective of your requirement. If your consumption is high enough to compensate minimum batch size, then you can place order as per your two month requirement and can repeat order every month to prevent shortage but if consumption is less then you have to be more caution about inventory management. Suppose you require five thousand tablets for a month and minimum batch size is thirty thousand tablets. You have to invest six times of your monthly requirement. If you have ten products in your product portfolio then you have to invest sixty times more as per your monthly requirements. In this investment you could have fifteen to twenty more products. When come to product stocking, you have to check your monthly and quarterly sale. You should have atleast one month stock in your ware house when you are going to place a new purchase order. It takes twenty to thirty days in repeat order manufacturing. When you will receive stock, you will have few days’ stock. One month stock or more is mandatory to prevent any delay in manufacturing process. In that case inventory may increase some extent as actual consumption. There will always be uncertainty in demand so there will always be uncertainty in inventory management. Inventory management is one of the most important aspect of business and which is ignored by most of start-ups and small companies in pharmaceutical sector. Account department only care about payment, sales department only care about sales and purchase department only care about procurement. Who will be responsible for inventory management. Stock department will manage in-ward and out-ward of stock. Most of time, stock will be handled by less educated staff or by staff as a part time basis. Due to which concern person can’t understand the importance of stock management. First Prepare each product consumption report at daily basis, monthly basis, quarterly basis and yearly basis. Take an average monthly consumption idea from it. It will provide you a figure that you will need for re-order quantity. Prepare re-order quantity of all products. Update it regularly. (Caution: Wrong data analysis can cause reverse effect). Stockist/Distributors and Retailer/Pharmacies can also follow same procedure as discussed in marketing company inventory management. 2. Before stock management, you should have accurate stock summery available at you.